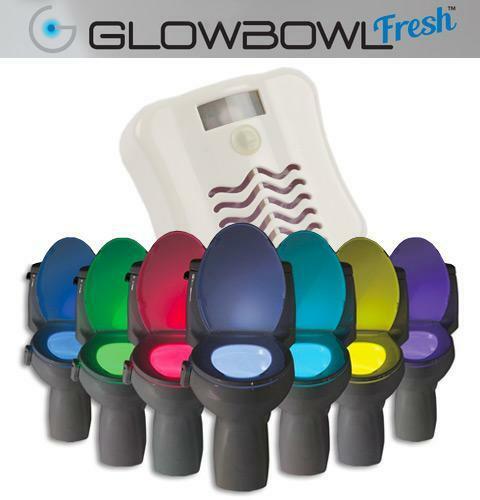 Have You Heard of the Glowbowl, one of our friends received over the holidays: The GlowBowl. The GlowBowl transforms any toilet into a multi-colored nightlight. No more missing your target or stumbling around in the dark in your bathroom – The GlowBowl is motion activated, light-sensitive and solves all these night time bathroom problems. You get your choice of seven different colors in one device: blue, purple, aqua, yellow, red, white or green (they rotate as you go). Don’t know if this will replace candlesticks as a wedding present.